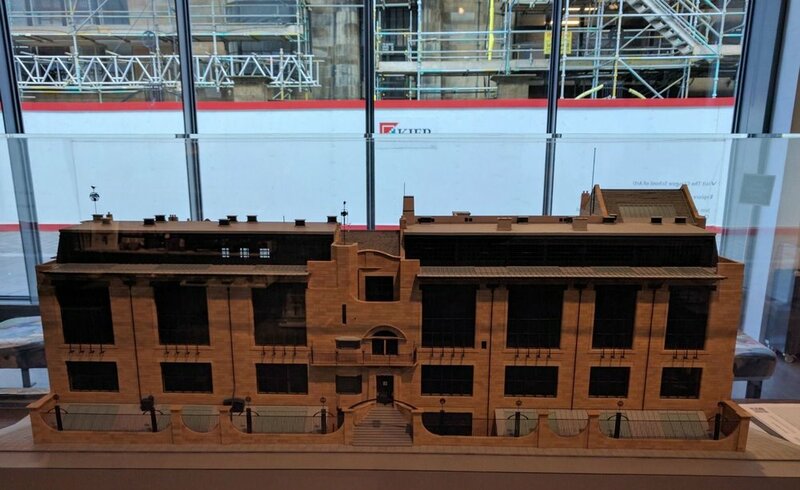 In the ‘Window on Mackintosh’ Glasgow School of Art Visitor Centre, opposite his landmark building, is - among a whole lot of interesting exhibits - this model. Behind it through the glass, is the real thing, undergoing restoration after the fire. CORRECTION: after the first fire. The June 2018 fire has completely destroyed it. How the heck did that happen, the folk of Glasgow are rightly asking. ‘Hmmm. Cafe Gandolfi, probably. They’re friendly there. Or the old-established Ubiquitous Chip. Oh, and Fanny Trollope’s used to be good. And, come to think of it, I was always told to go on about Glasgow’s legendary friendliness, its “genius for instant friendship”. But, personally, I have always found, say, Dundee or Buckie just as friendly. Hunterian Art Gallery entrance (right) with Mackintosh House. 'OK, then. For some folk, the Glasgow shopping experience should be on the list. Not so much for the Buchanan Galleries or the St Enoch Centre. They’re just like the vast shopping malls elsewhere in the UK. Could be anywhere – just faceless 21st-century retailing. No, I’m thinking, maybe, Princes Square – decent cup of coffee in there, in my time – or some of these exclusive individual boutique shops in the Merchant City. Oh, wait, that was in the 1980s. Now it's more...uhmm, slightly pretentious pubs and some restaurants. By the way, is it my imagination or do you see Merchant City as branding much less often than a few years ago? Princes Square, Glasgow - a highlight of Buchanan Street Shopping. Not just that but in 2016 it was voted Scotland’s favourite building of the last 100 years, in a poll commissioned by the Festival of Architecture and Design. Hurrah for Glasgow. Glasgow's Gallery of Modern Art or GOMA. Glasgow School of Art - before it was destroyed. Sunshine in Glasgow's Botanic Gardens in the West End. 'Yeah. It’s a reminder of the ordinary working folk of Glasgow, I suppose. Same goes for the People’s Palace. Add it to the list. Assuming it stays open after the news that the adjoining Winter Gardens is closing because it’s uhmm, rusting to bits. ‘I always used to say that you had to look up. I mean, all that Victorian detailing. A lot of it is going on above ground floor level. And I remember I was always asked to say something about the Glasgow style, though I could never work out what it actually meant. 'Did you ever tell them about Byres Road and Ashton Lane? Remember that pleasant drink we had on the roof of the Ubiquitous Chip? 'Sure, sure. "The Chip" is great. Look, of course visitors will have a fine time. It’s Scotland’s biggest city after all and worth discovering. It’s bound to have good restaurants. Read more on the cities in Scotland page. Check out hotels near Glasgow Airport. In November 2013 the Scottish media reported that Glasgow City Council was ashamed of its image - as reflected by the tradition of placing a traffic cone on the city’s statue of the Duke of Wellington. They intended to spend an astonishing £65000 on raising the duke even higher on his plinth. Now, the Duke of Wellington was terribly good at battles and military matters, and twice a Tory Prime Minister. He opposed the Reform Act, extending the vote to the people. Given that Glasgow at one time had the second biggest steam locomotive manufacturing base in the world (after Baldwin’s in the USA), would that be reason enough to be less than reverent about the conservative old buffer? Well, in our book, definitely yes. So we applaud the tradition of (slightly merry?) revellers planting the cone on his head. The cone was repeatedly removed, no doubt by po-faced Council employees, yet always to be replaced again. Actually, we haven’t a clue why the feature really became so permanent. Maybe it was linked to the statue’s location outside GOMA, the city’s Gallery of Modern Art - so that the cone became a kind of installation in itself. Or maybe it was just an expression of the much vaunted humour of the locals. The point is that after a widely-publicised campaign was launched on social media, the city authorities then reversed their intention of doing away with the ‘tradition’. Perhaps someone pointed out, for example, that the influential Lonely Planet Guide named it in 2012 as one of the ‘top ten most bizarre monuments on Earth’. Anyway, look out for the iconic statue on your visit. That cone is here to stay! Hurrah. Watch the hilarious short video here about one way he gets the cone on his head. There he is, on his nag in front of the gallery. 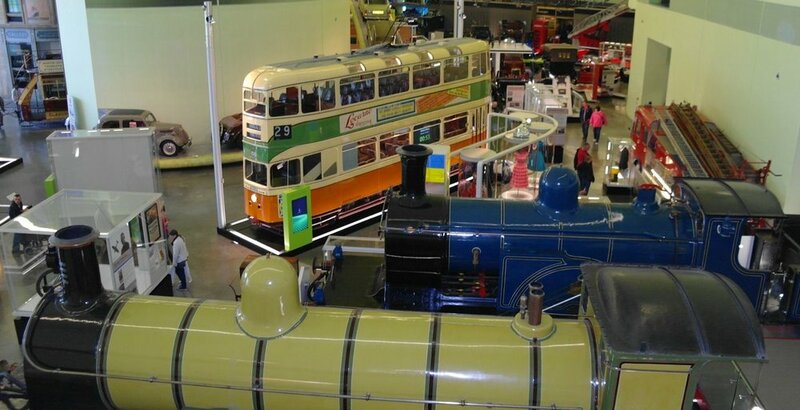 The old buffer has definitely become a 'Glasgow must see'. Duke of Wellington with traffic cone.